Boston, MA – November 1, 2016 – Sullivan & Worcester was highly ranked in the U.S. News – Best Lawyers "Best Law Firms" rankings, including 19 national rankings and 18 first-tier metropolitan rankings. 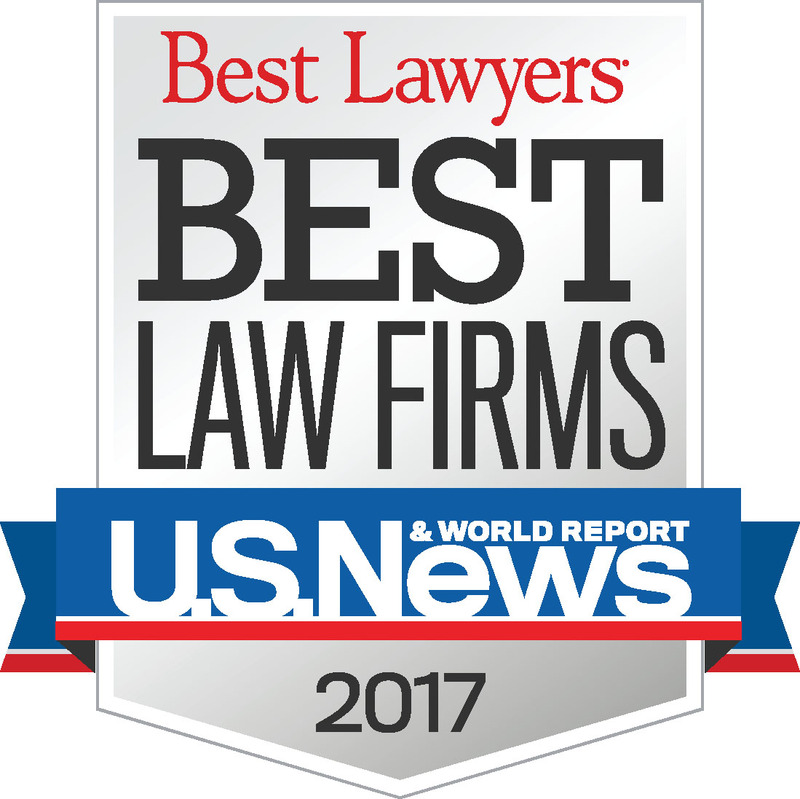 "We are delighted to be recognized for our excellent work by U.S. News - Best Lawyers® and pleased to see that the firm received top rankings across a wide range of our practice areas," said Managing Partner Joel R. Carpenter. "These honors are especially satisfying because they are based on direct feedback from our clients and peers." The national and metropolitan first-tier rankings are featured in the "Best Law Firms" standalone publication, which is being distributed to 30,000 general counsel and digitally to 60,000 private practice lawyers worldwide. The rankings in their entirety are posted online at Best Lawyers. To collect data, U.S. News – Best Lawyers asked major clients and leading lawyers to rate the law firms they consider best in various practice areas. The rankings, which are presented in tiers, showcase more than 10,000 law firms ranked nationally in one or more of 80 legal practice areas and in metropolitan rankings in 118 practice areas. About Sullivan & Worcester LLP. Sullivan & Worcester is a leading law firm advising clients ranging from Fortune 500 companies to emerging businesses. With 175 lawyers in Boston, London, New York, Tel Aviv and Washington, D.C., the firm offers services in a wide range of areas, including corporate finance, banking, trade finance, insurance, securities and mutual funds, litigation and dispute resolution, mergers and acquisitions, intellectual property, tax, real estate and REITs, private equity and venture capital, bankruptcy, environment and natural resources, climate change, renewable energy and water resources, regulatory law, and employment and benefits law. For more information please visit www.sandw.com.